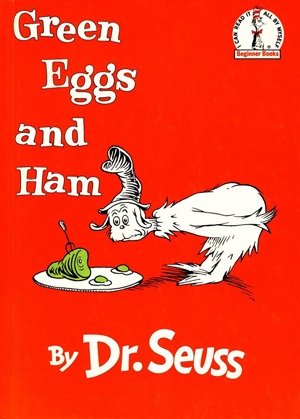 Dr. Seuss’ “Green Eggs and Ham” was published in 1960, and ever since, young children have been alternately disgusted and fascinated by the idea of eating something that looks so …unnatural. We mark the book’s 50th birthday by sharing interpretations of the classic dish from three local chefs and restaurant owners: Mark Berkner of Taste in Plymouth; Matthew Grizzle of Midtown Creperie and Cafe in Stockton; and Rodney Balbin of Garlic Brothers Restaurant in Stockton. The only guideline was to use the book as inspiration. The results show just how varied an impact the story can have. Dice eggplant, zucchini, yellow squash and tomatoes. Toss all vegetables with vegetable oil, salt and pepper. Place on baking sheet and cook in pre-heated oven at 400 degrees for 30 minutes. Remove from oven and place in stew pot. Add garlic, wine and bay leaves. Simmer five to 10 minutes, until wine is cooked off. Place filling in crepe, serve and enjoy.